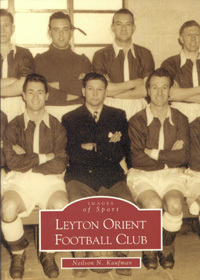 A fine pictorial history of England's greatest club, Leyton Orient. No Man Ure or Arse fans need apply. Author Neil Kaufman is the official club historian, but actually lives in South Africa. Much of the research help came from the "Fantastic Os" e-mail list of which Kaufmann is an active participant.